Agencies may, by initiative, participate in other Clusters so long as the aforementioned agencies are able to make firm commitments to the Cluster, and such participation will not hamper their performance in the Clusters to which they are primarily assigned. The MITHI Steering Committee shall be informed of such intention, and shall confirm/approve the same. 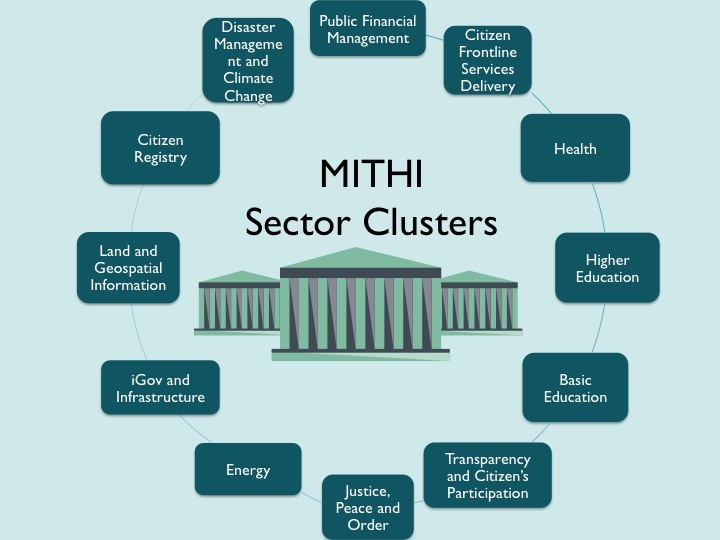 New Clusters may be created as deemed necessary by the MITHI Steering Committee based on the above stated policies. Other circumstances as the MITHI Steering Committee and the Cluster Steering Committees may deem relevant and controlling.